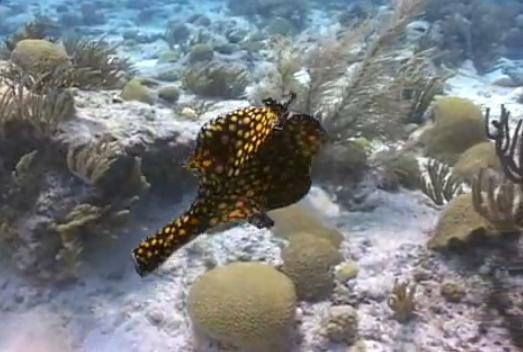 This video is of a Leopard Flatworm (Pseudobiceros pardalis) swimming on a Bermuda Reef. Leopard Flatworms live at a depth range of 15-75 feet and grow to an average of 1.5″ in length. They can be found in the waters of the Caribbean, Bahamas, and Florida. The Leopard Flatworm tends to hide beneath rocks and within crevices when it is not using it’s unique edges of its body to swim. A diverse diet and lack of predators give this animal a great natural ability to survive. What an awesome specimen, too bad it would eat our corals if we added it to our tanks. This video is just one of hundreds of unique ocean videos on oceancontent’s YouTube channel.